MOONSEED - SWINDON, THIS IS SWINDON. A story of Theft, Fraud, Bankruptcy, Lies, Forgery, Perjury, Impersonation and Prison. Albert Edward Woodland was born on 25th March 1846 to painter & glazier Henry Woodland and his wife Sarah Burch. The first records of Albert being in trouble with the law is in 1868 when he is tried for perjury and the following year when is tried for fraud. On both accounts he was acquitted. In 1870 he is convicted of stealing bread and sentenced to one month's hard labour. 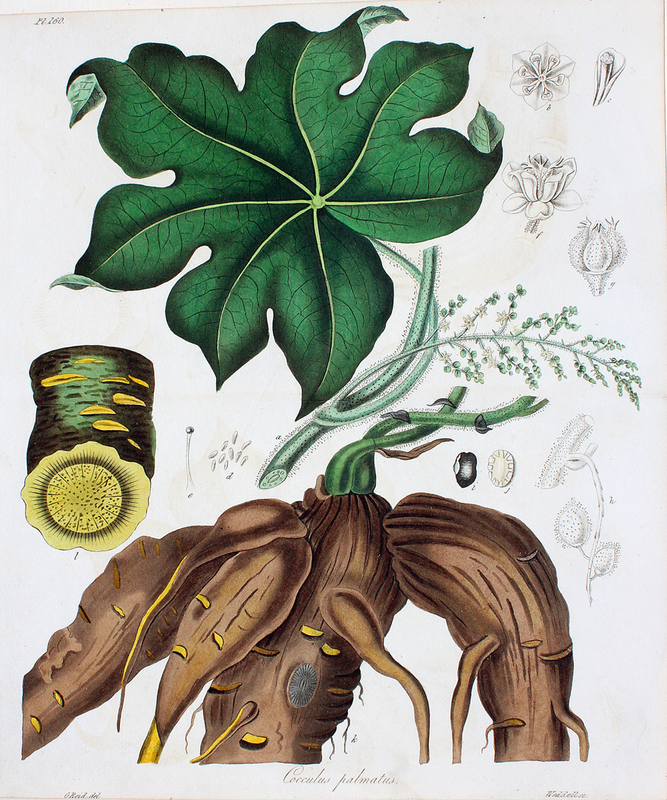 By 1871 his father had died and Albert now followed in his father's footsteps becoming a painter and glazier. The census of 1881 interestingly records Albert as lodging in a house in Birmingham, UK. His profession is a Dr of Medicine, University of Philadelphia, America (non practicing). 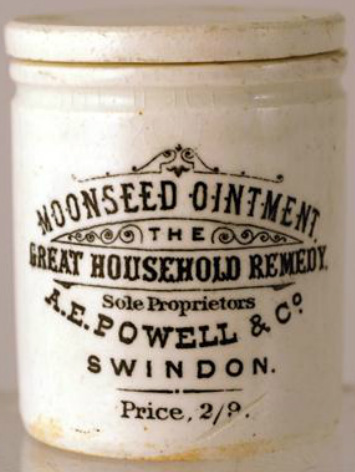 How Albert was first introduced to Moonseed Bitters & Moonseed Ointment is not yet known but adverts began to appear in newspapers in Cheltenham, Gloucester and Swindon in early 1885 for his alleged cancer curing tonic. So confidant was he of it's power that he offered £1000 if it failed. At this time the business seems to have been based in Cheltenham. With an aggressive and relentless press advertising campaign, official agents were appointed around the country as approved resellers. In Swindon the chemist shops of ﻿SMITH﻿, GREEN and SHAWYER were all appointed at one time or another. 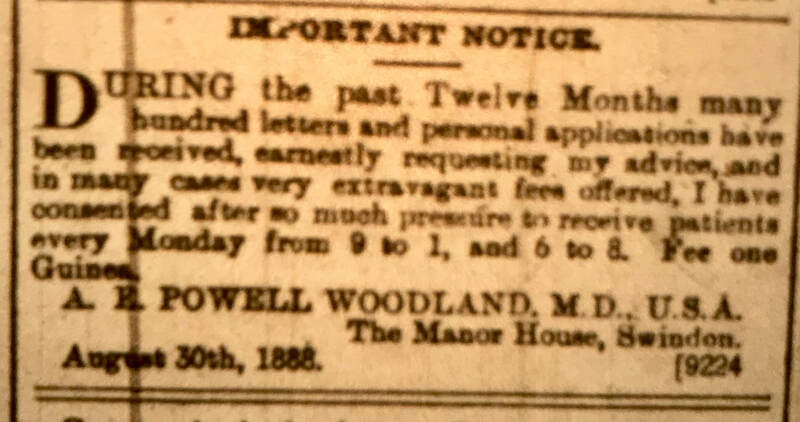 By 1887, in his adverts, he is referring to himself as Dr Powell Woodland, M.D from American. 1888 sees the business now based at the junction of Devizs Road, Wood Street, Little London and The Sands (Bath Road) in the now demolished Manor House, Swindon. 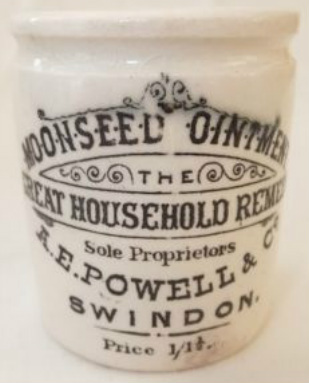 Moonseed Bitters & Moonseed Ointments were sold across the country via post or directly from The Manor House, Swindon but now trading as A.E. Powell & Co. Such was his confidence that at the peak of his business in 1889 Albert Woodland took out a full page ad in The Chemist & Druggist publication explaining to potential resellers that they should never discount his product to the public. 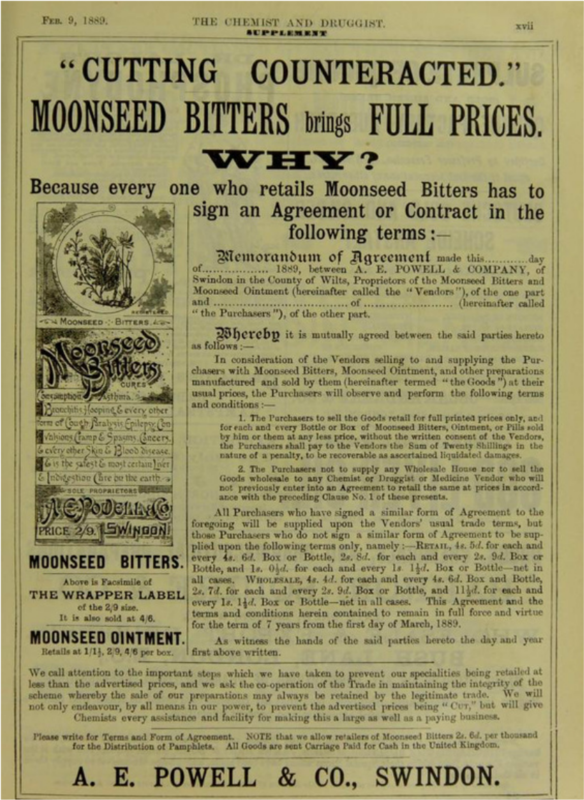 The 10th November 1890 sees the beginning of the end for Moonseed Bitters as bankruptcy papers are issued against the fake doctor. The London Gazette lists his name as Albert Edward Powell Woodland and states he is living at both the Manor House and Kingshill House, Swindon. When a bailiff attended Kingshill House to retrieve assets belonging to A.E. Powell & Co he was greeted from an upstairs window by Albert's wife who was brandishing a gun. No shots were fired. By the 5th April 1891 Kingshill House in unoccupied and is recorded as such in the 1891 census return. 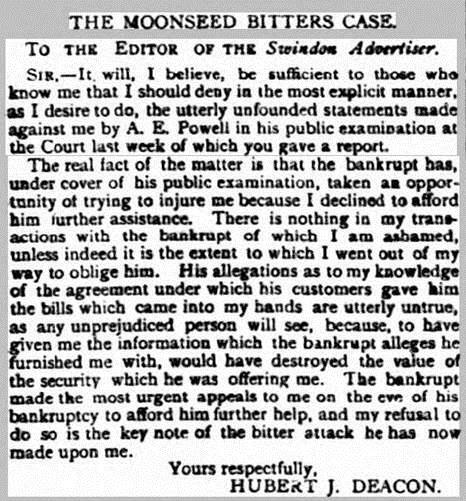 people of Swindon which was printed in the Swindon Advertiser on Saturday 17th October 1891 strenuously denying any wrongdoing on his part. 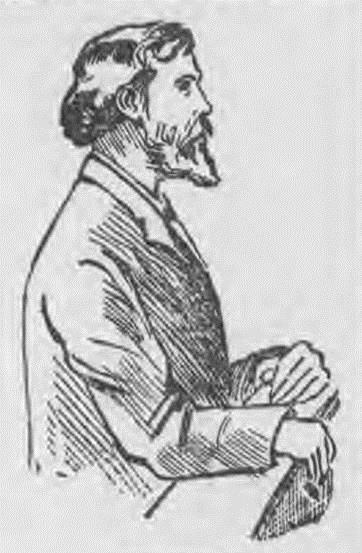 Illustration above is of the fake Dr John Ferdinand in the dock during his trial. The image is taken from the Lloyd's Weekly Newspaper 20th December 1896. 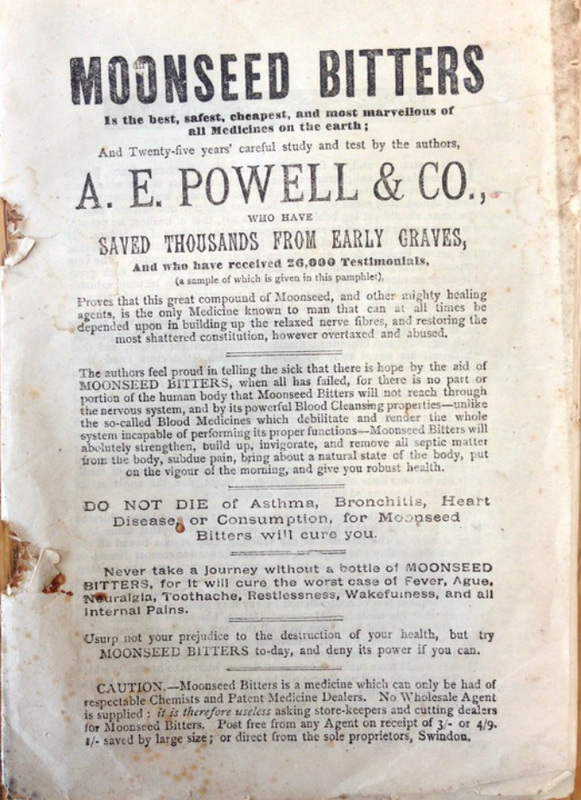 Albert abandons the Moonseed Bitters business in Swindon and moves to London where by 1893 he had settled at 291 Kings Road, Chelsea. He now calls himself Dr John Ferdinand and is in possession of a forged Diploma Certificate from the Philadelphia Eclectic Medical College. December 1895 sees John Ferdinand charged with falsely impersonating a Doctor of Medicine. The case against him is brought by Mr Thomas William Tyrell of the Medical Defence Union. The Judge, Mr Sheil accused John Ferdinand of taking advantage of people who were unable to protect themselves from such 'quackery'. Found guilty he is ordered to pay £20 + £10 costs. In October 1896 he is called to treat a women in Battersea called Sophia Louisa Holliday who was suffering from terminal cancer. His treatment failed and upon her death her husband asks 'Dr Ferdinand' for a Death Certificate. He issued a certificate of death soon after. During the subsequent inquest into her death, it was discovered that Dr John Ferdinand was in fact a 'Quack Doctor'. He was arrested and remanded to Wandsworth Prison. During the court case that followed his true identity was discovered and a witness is found who was paid by Albert to falsify the Diploma. Albert was now charged with Perjury. 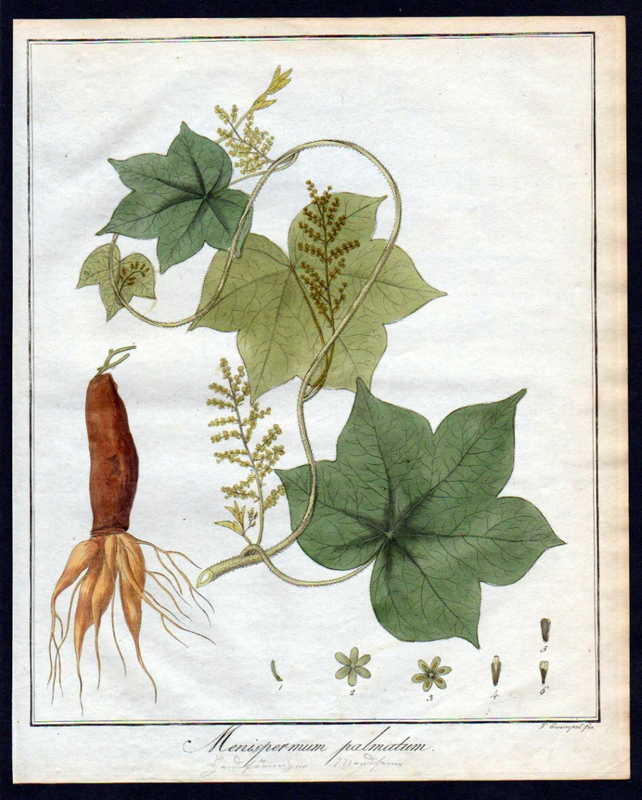 A previous conviction for stealing bread in 1870 was exposed in court along with more Quack Doctoring in Worcester, Manchester, Birmingham and Stockton-On-Tees before settling in Swindon to create his ill fated Moonseed business. On Dec 17th 1896 at the Central Criminal Court in London, Albert Edward Woodland was sentenced, incorrectly under the name of John Ferdinand, to 12 months Hard Labour for Perjury and sent to Wandsworth Prison. He was never tried for issuing the death certificate, just lying to the court. He was 50 years of age but the prison records show him as being 53. The name John Ferdinand of 291 Kings Road, Chelsea, London, is listed in the 1897 Register Of Persons Entitled To Vote, but his inclusion would have happened towards the end of 1896 and just before he was sentenced. After doing 12 months Hard Labour, on the 13th Dec 1897, Albert is released from Wandsworth prison. After Albert leaves prison no further records can be found of him although from 1898 to 1903 a person calling themselves Edward Woodland is recorded as living in the Wandsworth area.